It's not all doom and gloom for Samsung following its courtroom humbling at the hands of Apple, according to one 'tech evangelist' who reckons the Koreans got off cheaply. Robert Scoble, an author and creator of the influential Scoblelizer blog, says paying out only $1 billion to become a huge mobile force is a bit of a bargain. Scoble, a former Microsoft employee, took to his Facebook page to say: "I think this is actually a sizable win for Samsung. Why? It only cost $1 billion to become the #2 most profitable mobile company. "Remember how much Microsoft paid for Skype? $8 billion. 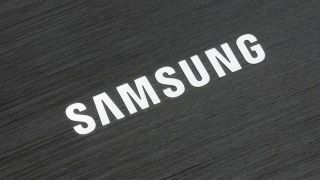 So, for 1/8th of a Skype Samsung took RIM's place and kicked HTC's behind." "Not too bad. Unless the judge rules Samsung can't sell its products. Even then I bet Samsung arrives at a nice licensing deal with Apple." Scoble ended his alternative interpretation of the legal proceedings by suggesting RIM, Nokia, HTC and co could have also made bank by copying Cupertino. "I bet that RIM wishes it had copied the iPhone a lot sooner than it did. So does Nokia, and HTC and a raft of other manufacturers I bet. Samsung is a much healthier company than any of those BECAUSE it copied the iPhone." So, although Apple says the verdict in its favour proves that "stealing isn't right," Samsung has proved that stealing can be very, very, profitable.